It’s Time D-Heads! 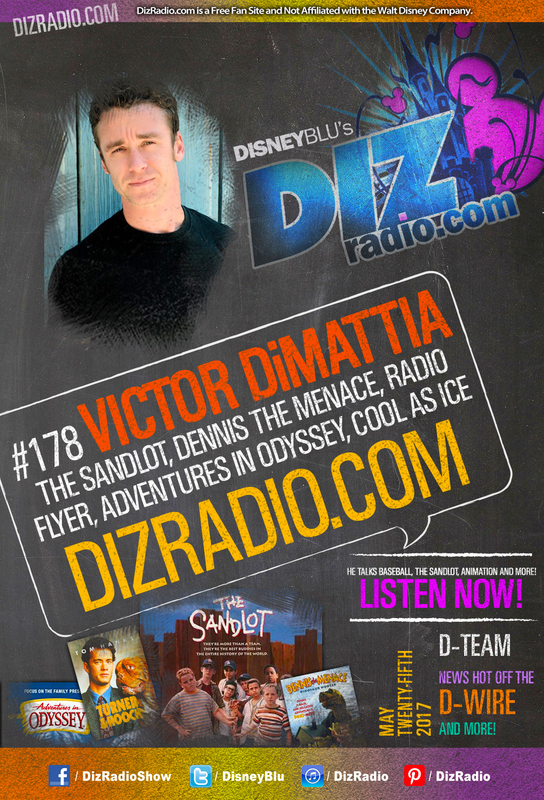 This week we travel back to those memories of playing ball with our friends and America’s Past Time as we welcome VICTOR DiMATTIA (The Sandlot, Adventures in Odyssey, Radio Flyer, Turner and Hooch, Cool as Ice, Dennis the Menace, many TV Shows and more) to the show! 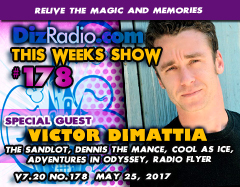 Victor stops in and talks about this cult classic film The Sandlot, baseball, doing voice acting, and his latest projects. 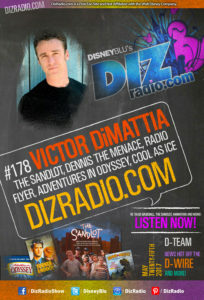 In addition no show is complete without the D-Team and Domenic stops in with his Disney Short Leash to give you some tips and tricks for a quick Disney World Trip, and we have Jason going deep into The Vault with a DVD and Blu-Ray you have to add to your collection while you have the questions and Erin has the answers in I Want To Know! Caitlin is here with the latest from the Walt Disney World Resort in WDW-in-2 and let’s not forget Randy with Disney Multi-Media! There is news fresh off the D-Wire with the latest news Pandora, Animal Kingdom, Pirates of the Caribbean, Soundtracks, The Cars Franchise, Sphero, Screen X, DVDs, Blu-Rays, Walt Disney World, the Magic Kingdom, Disney Junior, Hotel Transylvania the Series, and so much more fresh off the D-Wire this week.